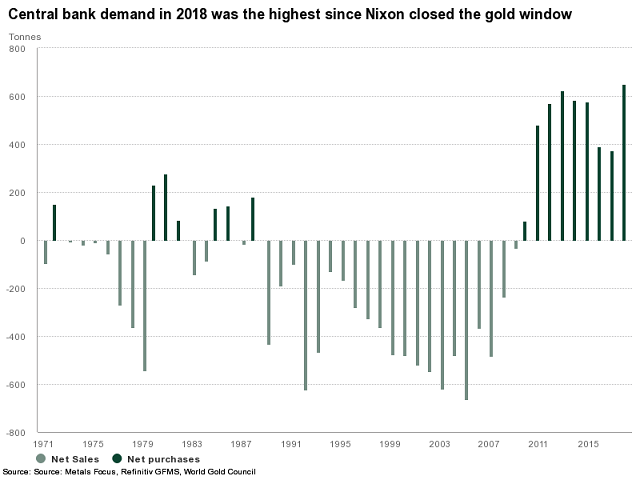 (Kitco News) -Central banks’ renewed appetite for gold is here to stay as official purchases are expected to provide a solid long-term base for the gold market, according to one executive at the World Gold Council (WGC). 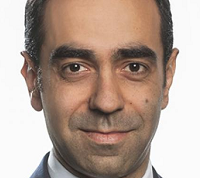 In an Telephone interview with Kitco News, Juan Carlos Artigas, director of investment research at the World Gold Council, said that although central bank gold purchases hit their second highest level in history, it is a trend they have seen develop for the last nine years. Artigas said that gold is a natural asset for central banks as there are few alternatives in the marketplace. While the U.S. dollar is not expected to lose its reserve currency status anytime soon, Artigas said that many countries are worried that they are too exposed to the U.S. dollar. At the same time, the euro has sovereign debt issues and growing economic growth concerns, which is why it is not an attractive asset. Central bank gold demand helped to boost overall gold consumption by 4% for the year. In its report, the WGC said that global gold demand rose to 4,345.10 tonnes in 2018, up from 4,159.9 tonnes reported in 2017. However, despite the strong demand, gold prices fell more than 1% for the year. Although the price decline was disappointing, Artigas said that investors need to keep their focus on gold’s long-term potential. He added that strong central bank demand created a solid base for the market and prices. With central banks providing long-term support for gold, Artigas added the precious metal should start to attract more investment demand as investors also look to diversify their portfolios. Gold remains an attractive portfolio diversifier as market volatility increases due to ongoing global economic growth concerns, he said.